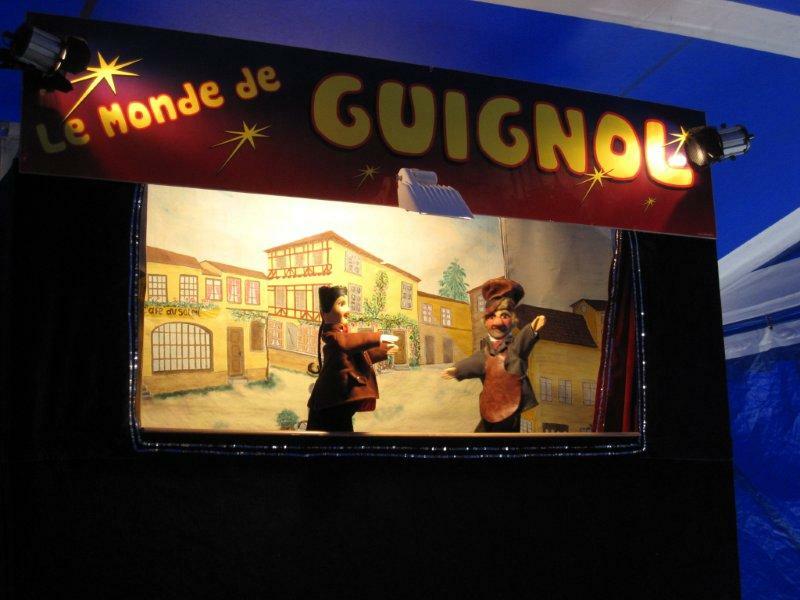 We have been introduced to Guignol, a French puppet from the early 1800s. 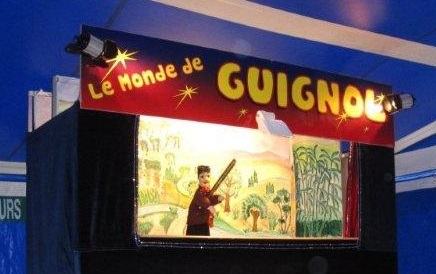 Guignol’s founder was a dentist who made his money by selling pain relievers to people who had their teeth pulled – the teeth pulling itself was free. Talk about misaligned economic incentives! A Guignol puppet show was playing in one of the local villages, so we took the girls and went to check it out. It was a traveling show with two people – one puppeteer and one other person who took the tickets and sold stuff at intermission. Apparently they visit more than 50 villages a year to do the show. 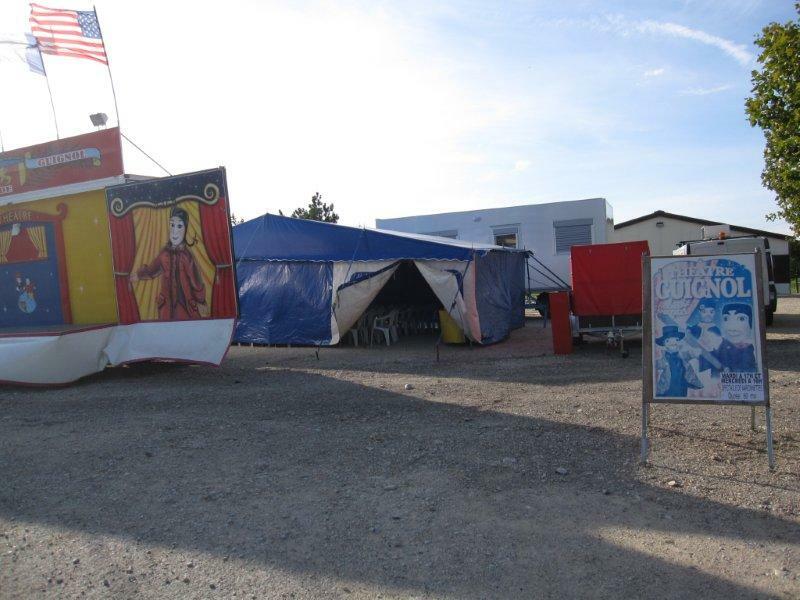 They set up their tent, put up some posters, and the show was ready. The kids loved the show. Most of the humor seemed to come from using words wrong. For example, Guignol the puppet was going to visit Madam Le Barrone, but he said “Let’s go see Madame Champignon” (french for mushroom) and the kids would yell “NON! Madame LE BARRONE! !” He’d do that over and over and over. The kids never got tired of the joke. It was a charming little play for the most part, but then Guignol, our play’s hero, came out with a HUGE stick and started beating the crap out of the bad guy. The bad puppet spent the rest of the show lying there like he was dead. Apparently 200-year old french puppets aren’t politically correct about violent behavior. That is hysterical! OMG…I can imagine the barage of questions from the girls about why did he beat him with a stick and what happened to the bad guy puppet. I don’t envy that part one bit!